What Is Substance Abuse Social Work? Substance abuse is defined as the habitual repeated use of a harmful substance for the sole purpose of mood alteration. Nearly all substance abusers start abusing substances for the immediate mood altering effects. Depending on the substance, the effects may vary, ranging from calming effects to elation. There are a number of different types of substances that people might start abusing. Some are legal, and some are illegal. Although people start abusing these substances for the pleasant mood altering effects, nearly all of these substances cause some sort of negative effects. 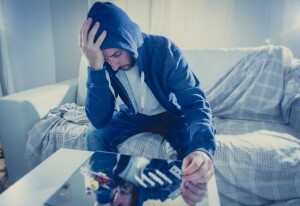 Once a person starts abusing a substance, for instance, he may be at risk of developing a physical addiction, which can be extremely difficult to overcome. Substance abuse can also lead to physical and mental health problems as well. Substance abuse can also contribute to other problems, such as joblessness, financial problems, family discord, and homelessness. Despite the number of negative effects that it causes, substance abuse can be one of the hardest things for many people to overcome, particularly if they are physically addicted. Because of this, many substance abusers need to enlist the help of professionals. Substance abuse social work is a field of social work that focuses on helping individuals struggling to overcome substance abuse. Professionals in this field help individuals overcome their substance abuse by counseling them, and helping them find additional services and resources. Why Do We Need Substance Abuse Social Workers? Substance abuse is a strong demon to overcome – stronger than most people, in fact. However, in order to stop or prevent the negative effects of substance abuse, overcoming this problem is imperative. Unfortunately, the road to recovering from substance abuse is a very long and bumpy one. Substance abuse social workers can help make the road to recovery a little easier and a little less stressful. Because these types of social workers are trained to help and support those struggling with substance abuse, recovery from this problem is typically more effective with the help of these types of professionals. A substance abuse social worker will usually start by meeting with and interviewing a client. This enables them to determine the type and severity of the substance abuse. In order to assess a client, the social worker will usually interview him, and possibly his loved ones. The social worker might also talk with a client’s medical doctors or mental health professionals. After assessing a client, a substance abuse social worker will then usually help a client come up with a treatment plan or care plan. A substance abuse social worker will typically create treatment plans based on what best suits each individual client, based on their needs, abilities, and type and severity of substance abuse problems. When creating these treatment plans, a substance abuse social worker will often encourage clients to create goals to work toward’ completing each goal allows a client to see that he is making progress. Treatment options for substance abuse may vary, depending on a number of things, including the type and severity of the problem. For instance, a substance abuse social worker may offer some counseling services in order to educate clients and their families about substance abuse in general, as well as ways to stop abusing their substances of choice. A substance abuse social worker might also refer his clients to other substance abuse and mental health professionals, such as counselors and psychologists. If necessary, a substance abuse social worker might also arrange for a client to check in to an inpatient substance abuse recovery facility. Lifestyle changes are also often important when trying to overcome substance abuse. Many times, abusing substances simply becomes nothing more than a “bad habit” when a person is around certain people or in certain situations. In order to break these ‘bad habits” more quickly, a social worker will often advise substance abusers to change their lifestyles, so that they will find little to no opportunities to participate in their habits. A client who only smokes marijuana when he’s with certain people, for example, will usually be advised to avoid these people. Periodic reevaluations of a substance abuse treatment plan are also important. A substance abuse social worker will typically meet with and reevaluate each of his clients on a regular basis in order to determine whether their treatment plans are working or not. If a client’s treatment plan is unsuccessful, a social worker may decide to try different treatment methods. Where Do Substance Abuse Social Workers Find Employment? Substance abuse social workers are often able to find employment in a number of different health facilities, including medical hospitals, psychiatric hospitals, mental health clinics, substance abuse recovery facilities, and community health centers. Schools, detention centers, and government agencies might also hire substance abuse social workers as well. What Are the Education Requirements for a Substance Abuse Social Work Career? Most areas require substance abuse social workers to have at least a master’s degree in social work in order to become licensed. Along with obtaining this type of degree, substance abuse social workers are also required to have several hours of supervised social work experience before becoming licensed. Depending on your state’s requirements and the type of licensure you require, you might need to complete anywhere from 1,000 to 3,000 hours of supervised fieldwork. What Is the Average Salary of a Substance Abuse Social Worker? In May of 2014, the average annual salary of mental health and substance abuse social workers in the United States was $45,850, according to estimates from the United States Bureau of Labor Statistics. Salaries will obviously depend on location, employer and education. For example, substance abuse social workers that were employed by outpatient care facilities made an average of $42,380, while those that were employed by psychiatric and substance abuse hospitals made an average salary of $52,070. Substance abuse social workers in New York state and California were also at the higher end of the salary spectrum, with average salaries of $54,090 and $57,900 respectively.